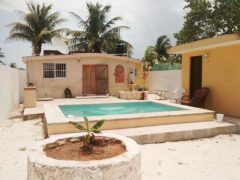 Home for sale in Celestun. This gorgeous, 2 story beachfront property sits on one of the most pristine beaches the Yucatan has to offer. Very limited inventory in this area. Move in Ready! Home has been operating as a B&B/vacation home and has rental history! Home features 3 bedrooms, 3 baths, pool, landscaping, large property, terraces, balcony. modern kitchen and all well maintained. Home is a short walk into town so you or your guest can easily enjoy the local delicious seafood and tourist shops. Live like you are in Tulum, but on a Yucatan budget! 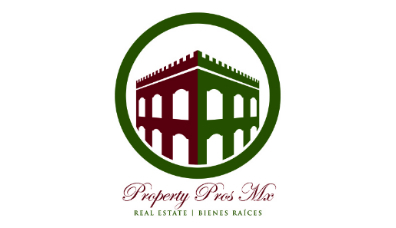 Contact us today with assistance in purchasing property in Mexico. 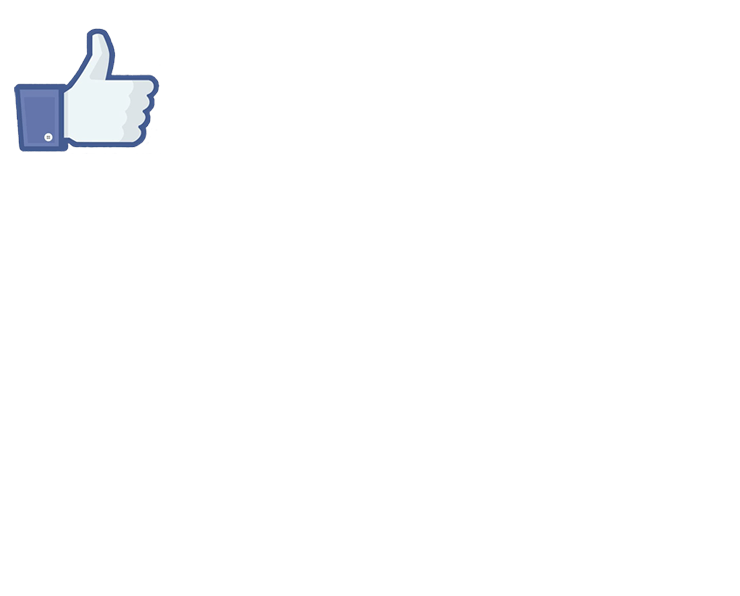 We are you number one professionals in Merida Yucatan real estate. We would be happy to show you any property on any website, & help you find your dream property in Merida or on the Yucatan Beaches. Beach cottage fixer upper! Beach property outside Mérida. 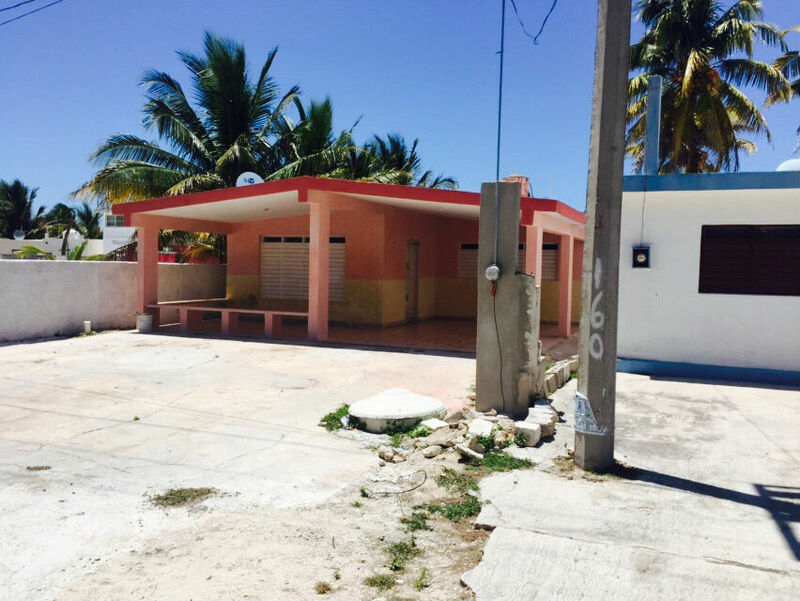 House for sale in Chelem Mexico. A great starter home in Chelem just second row back. Corner lot and views of the ocean can be seen from the property down the entrada. House is in good order and is ready to live in or ready to renovate. Property is large and there is plenty of room for construction and a pool. Just a few minutes to Centro Chelem and 15 minutes to Progreso. The state capital of Merida is just a quick 30 minute drive away. Merida is well known for its high quality of life, low cost of living, top medical facilities and modern services. 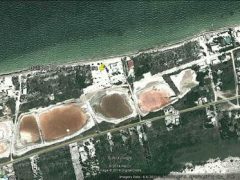 Rare Chelem vacant beach front lot, quite beach entrance. Build your dream beach house and enjoy a life time of ocean views. It has heave vegetation, mature palm trees, plenty of beach. This starter beach bungalow has 3 bedrooms and 2 baths and a breakfast patio. Large dining room and s wells on property. Well positioned to the beaches and all Expatriate activities and fishing. This is your Paradise Found in Chelem! 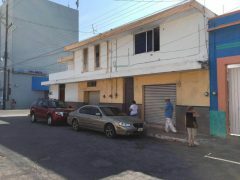 Cuesta $950,000.00 tiene amplia cocina con barra desayunador porche, sala y comedor muy amplios, miriñiaques en toda la casa, una bomba y 2 cisternas, sobre avenida principal y por la parte trasera está la playa el terreno es de 10.15mts de frente por 25mts de fondo, cuenta con 3 recamaras muy amplias, muy buena ubicación y cero adeudos. This cozy house with 2 bedrooms, 2 bath, 2 garage space, is located in Chelem. It is only a 150 meters to beach. At the rear of the property lies a beautiful newly tiled pool. Easy access from the highway and peaceful neighborhood. Be ready to buy the perfect property at NO price and enjoy life in the Expat’s favorite paradise. The house has a large driveway and carport, big front patio and porch, palapa covered, back patio with a large filtered pool and a bodega building that includes a half bath with laundry area. The kitchen is huge 4 meters and 6 meters… big bedrooms with closets. Yes, it’s a very nice property! The lot is just over 3/4 of a standard 10x 40 lot. I enjoyed this project because of the size and shape of the lot… it’s efficient and compact, but not cramped and with totally usable spaces. Some interior features are: air filter, kitchen island, laundry room and guest quarters. Amazing beach front lot! Ready to build your dream house and enjoy the stunning views of the ocean. Located close to Chuburna puerto. This lot has a vast vegetation, which could be transform into a beautiful landscape, combine with the ocean view makes this lot a perfect location.